The Cara Cara Orange is a medium-size orange with a glossy, textured rind. The inner flesh of the Cara Cara is pink, resembling the color of a ruby grapefruit. 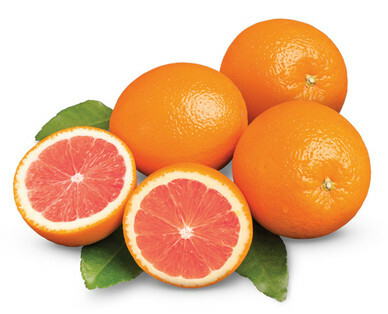 It tastes sweeter than an orange with flavors more robust and complex with citrus aromatics. Its flesh is also seedless, an advantage among any fruit.